Those who read my previous post about becoming a dog person know I never really liked dogs until my Buffy changed the way I see dogs. I was clueless after that. Suddenly I had this fluffy new best friend and I had no idea what to do. He did not understand me and I did not understand him. Dogs can understand some human language, but it’s more about us showing them with actions and repeating those actions and words over and over until it clicks. It’s pointless shouting at them. A dog’s hearing is far more superior than ours. You actually need to show them what you want them to do and reward them with lots of praise, treats and their favorite toy. 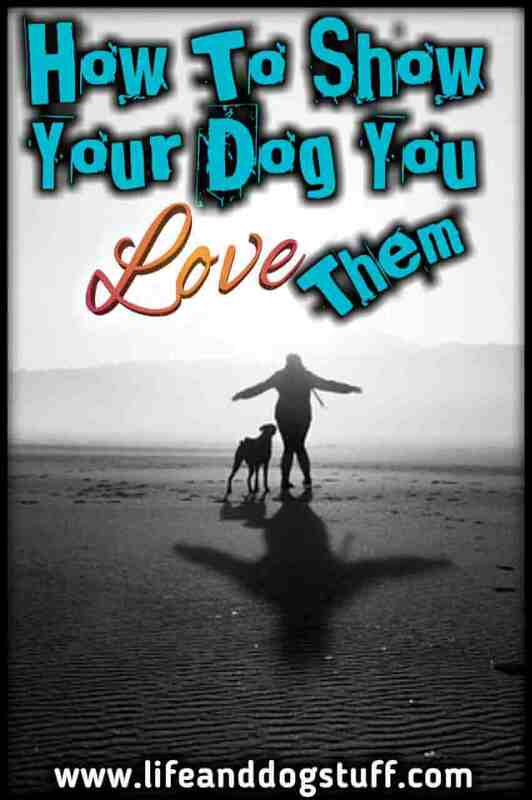 There are many ways to show your dog love. 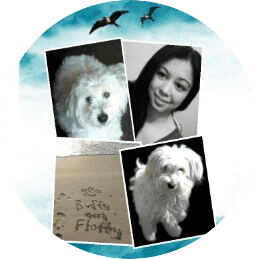 I decided to list a few things that helped build trust with my Buffy, how I showed him I love him and how I learned to understand my dog better. I am not a dog trainer or dog behaviorist. This is what I used for my own dog that I found helped a lot. Yes, I know some people don’t like touching dogs. But petting your dog for a few seconds is not going to kill you. I didn’t like it either until my human best friend suggested I try it. It felt weird at first, but after a while, I got used to it. Petting Buff is one of my favorite things to do now. I sometimes go overboard and hug him a little too tight. I can't help it. He's very cuddly. The best place to touch is under the chin, at the back of the head, ears and some like the belly. You know your dog best so you can see what they prefer. Take some time out of your busy day and play with them. Dogs go crazy for a game of fetch. You need to train your dog the "let go" trick or else you will be like me that had to find ways to get the ball from Buff because he was a heavy resource guarder. 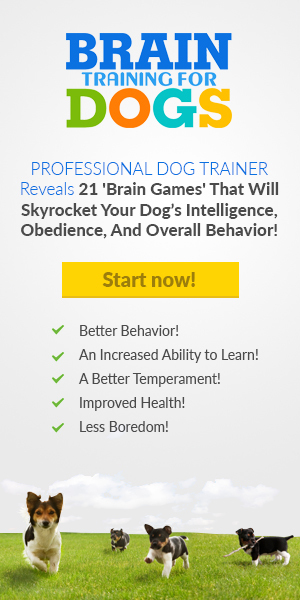 There are hundreds of YouTube videos on how to train a dog. Kikopup on YouTube is just one example. There are others but I like how detailed her videos are. Make sure your dog knows the basic obedience commands. Sit, down, stay, come and heel. After that you can start some fun tricks, like give paw, roll over and whatever else you feel like teaching. Dogs are really smart and never too old to learn. I started training Buffy when he was 8 years old. It was something fun for us to do together and strengthened our bond. If it looks like your dog is not listening to you, it could just be you need to take a step back and build up slowly. Start from where they understood and add. Remember they learn by repetition and you need to be clear on what you want. Keep training sessions short. Ten minutes at a time, maybe 2 times a day or else your dog and you will get frustrated. Make it fun and give lots of praise, treats and pet them too. Hand feeding goes hand in hand with when you’re training your dog or if you just want to build trust. If you’re scared to let your dog eat out of your hand, try putting the treat in front of the dog. Repeat several times. They will soon see you as the source of nice treats and will start licking your hand. At that point try letting him eat out of your hand. With my dog, if we are just hanging out I would give him a treat every time he makes eye contact with me when I say his name or he just needs to lie there calmly and wait a few moments for his treat. It teaches him to be patient and also that his name is associated with good things and it strengthens our bond. Dogs have their own language. You can tell by how they move or behave what they are actually saying. When my dog has his tail between his legs, head down and licking lips, he is really nervous and scared. That happens mostly when it's time for his bath or flea treatment. I’ve learned to let my dog come to me instead of me invading his space. Dogs like their alone time too. They will just get frustrated with you if you’re always there wanting to hang out. When my dog is in one of his moods I will just go sit where he can see me with food and eat in front of him. One, two, three and he’s there wanting me to share my food with him. Well, I was going to share anyways. I always make extra for him. So these are the things I've tried to build trust and love with my dog. 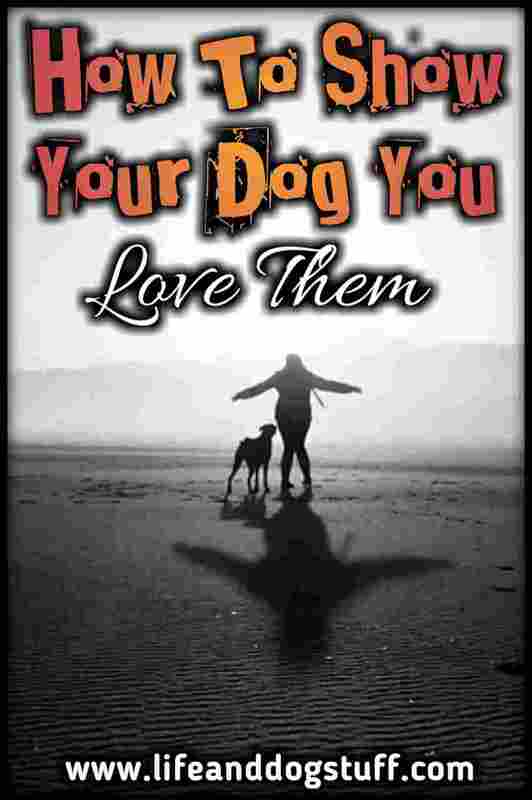 I'm sure it will help you show your dog you love them too. 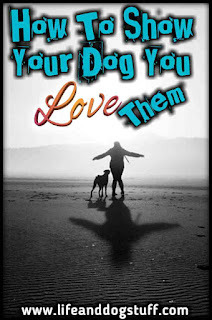 I also wrote about how my dog shows he loves me. It's a little different because dogs can't talk, but it's easy if you know what signs to look out for. 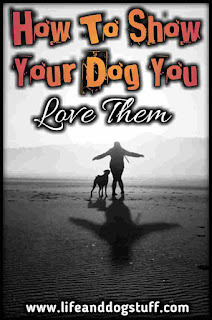 Dogs are pure love and it's so easy to love them back once you're open to receiving that kind of unconditional love. You will need a lot of patience. Dogs move at their own pace. Match their pace and that will bring you so much closer to your furry bestie. I definitely give my dogs tons of affection. I think my wife's dog gets a little jealous of the affection, though.